Howard runs his own business advising and providing management to Sports Organisations, Businesses and Agencies on Strategy, Corporate Marketing and Business Development. - The creation of a comprehensive five year targeted strategic plan to deliver Russia as a top 12 Rugby Nation by 2015 and a top 8 Rugby Nation by 2019. - In 2008, the Rugby Union of Russia was categorised as a Performance Union by the Sports governing body (the IRB). - A rise in the IRB World rankings from 24 to 17. - The building of a World Class National Rugby Academy opened in 2008. - Recognition of Russia as a Country capable of hosting major Rugby International Events. - ‘SuperLeague’, Russia’s professional Club League has grown into a fully National recognised globally. From 1998 to 2005, Howard was Chief Executive at Premier Rugby Ltd, the central organisation that runs professional rugby union in the England. As Chief Executive, he took rugby union from a embryonic professional sport into one of the UK’s leading professional games and was responsible for a range of commercial, sponsorship, marketing and political initiatives. These included: the development and management of the first ever central club based rugby organisation; the creation and execution of Premier Rugby’s business strategy (including the introduction of salary caps); the design process and commercial exploitation of the Premier Rugby brand and the negotiation of TV and sponsorship contracts. In addition, to his commercial and management role, Howard was also intimately involved in the expansion of the game in Europe through the establishment of the European Association of Clubs (Euro Rugby) and a board member on ERC- the European Cup of Rugby known as Heineken cup. He was also a key player in relations with the Rugby Football Union (RFU), the sports governing body in the UK, and with Government and political society with whom he helped build the professional game’s profile and relationships. During his time at Premier Rugby, attendances grew to almost double and revenues went up by 100%. 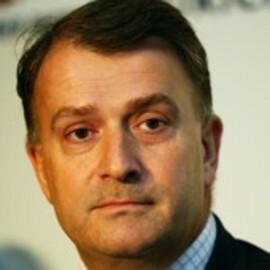 Prior to his position at Premier Rugby, Howard was CEO at Sale Sharks from 1996 to 1998. Before that he operated in the Sports agency business with MASTERS INTERNATIONAL LIMITED as General Manager (Europe) and THOMAS PACE HOSPITALITY LIMITED as CEO. Howard is a qualified Chartered Accountant, whose career started in the 1970s. He is married with two children, speaks French and Italian.